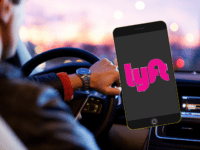 Lyft is quickly becoming one of the most popular ride-sharing applications in the United States, and is even growing internationally. 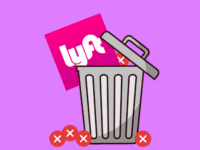 You might have even come across Lyft as part of the #DeleteUber movement, which helped Lyft jump in the App Store charts up to a top spot. 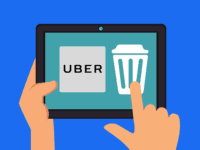 However, you might have noticed that Lyft, though it used to have a few distinct differences from Uber, is now largely the same – the main difference is how few places Lyft is available compared to Uber. 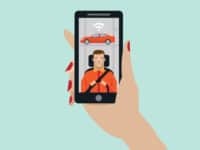 There are also some other concerns with these ridesharing apps in general, including lack of certification and formal training – which some other apps actually have. 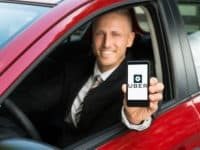 Some rideshare apps like Uber and Lyft also inflate their rates during peak hours, when there is a lot of traffic, or bad weather – precisely when the majority of people would be using it. Lyft’s main competitor is Uber, which is now available almost anywhere worldwide, and emphasizes speed and convenience. Curb and mytaxi are competitors to Lyft that make it easier to hail traditional taxis, while other competitors like Juno have their own fleets of cars while emphasizing lower prices. Let’s jump in with the top taxi apps like Lyft. Uber is one of the most popular companies like Lyft. Uber is available worldwide, in more countries and cities than any other taxi app, and is one of the most convenient taxi services that you can find anywhere. Uber offers many different ride options depending on where you live. 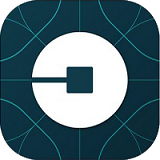 With Uber, you can estimate fares or your ride’s duration, and rate your experience after each Uber ride you take. Curb is another app similar to Lyft, with an emphasis on professionalism; it only works with officially sanctioned, licensed, and insured taxicab drivers or drivers-for-hire. They offer business and paratransit solutions on demand as well, due to the fact that they have their own fleet of cars at their disposal. Curb currently operates in 60 U.S. cities, and has partnered with over 90 taxicab companies accounting for over 50,000 cars. You can easily pay by setting up a credit card in the app, or pay with cash in the car! A British-based Lyft alternative, mytaxi (previously Hailo) has implemented some unique features, including accessibility-friendly taxicabs, and the ability to see how far you can travel on a fixed fare. 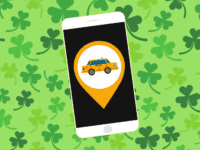 Drivers are also able to network with each other, providing updates on locations with high taxi demands, or on traffic or construction, which may slow down driving. Because of the popularity of Uber and Lyft, Hailo stopped operating in North America, but is it available now as mytaxi. 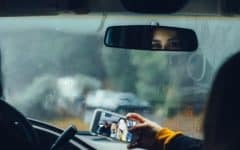 mytaxi also created a partnership for drivers to receive emergency medical training to help be a first responder on the scene – this really is the future! Juno, which is also known as “Gett” depending on which country you’re in, which was also previously known as GetTaxi (guys, come on – pick a name please) is a rising Lyft competitor from Israel. Juno uses its own fleet of drivers who are fully licensed, trained, and insured – so what Juno lacks in name-decisiveness, they make up for in safety. They also recently raised 80 million dollars, so despite the name changes, they are clearly going strong. Juno also differentiates itself from Lyft and other similar services by always charging flat rates that never increase during periods of high demand, inclement weather, or traffic gridlock. In some cities, you can even get a guarantee that your Juno ride will be cheaper than the same ride with Lyft, rewarding you with travel credit equal to the cost of your ride if it isn’t! Juno now operates in 120 cities in the United States, United Kingdom, Israel, and Russia, but it is growing fast. Very similar to the other Lyft competitors, Easy Taxi tracks your location to find a nearby driver. Easy Taxi drivers are fully trained and must undergo background checks. You can also edit your location to indicate landmarks, making it easier for your driver to find you. Easy Taxi is available in 10 countries and 420 cities, and covers a lot of southern areas of the world that other taxi apps don’t. read more $$ Driver network updates on traffic, weather, etc. 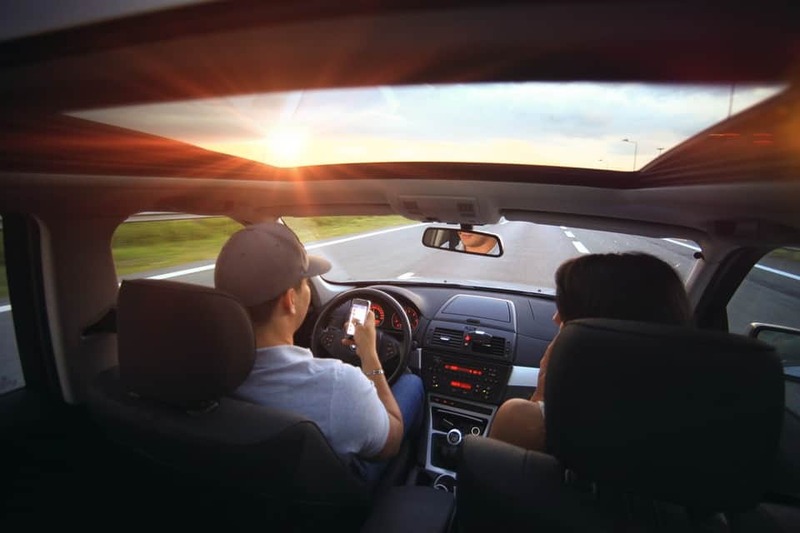 Ridesharing is useful when you want to save money, want to ensure your ride arrives, and you want to track your car before or during the ride. 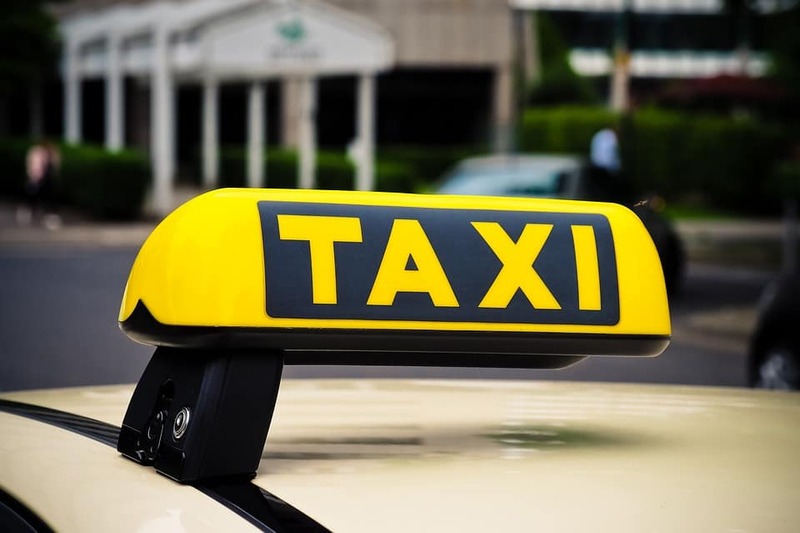 A taxicab is best when you want a trained driver, you need expertise of the city you’re in, or you want to deal with a company that reinforces its standards. 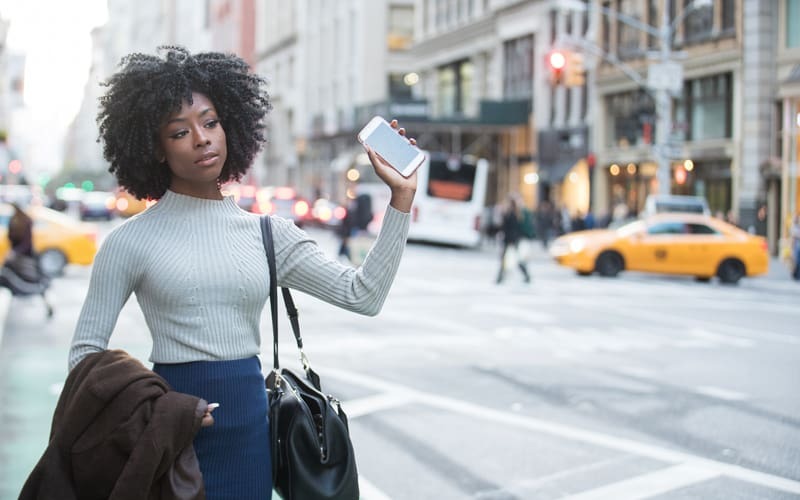 These tips will help keep you safe – no matter what ride-hailing app you decide to use. Choose a safe, well-lit location to be picked-up and dropped-off – These apps can drop you off literally anywhere you want, so choose wisely. Wait inside your building until the driver shows up, and opt for that busy parking lot – not the alley behind it – for your drop-offs. Check your driver’s details to verify their identity – Ask them their name, and check their car make and model, and their plate number when they roll up. If anything does not match, just take a picture and cancel the ride – any of these companies will reimburse you, and track down that driver. 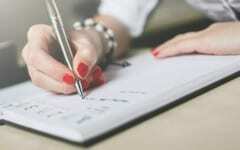 Utilize the 24/7 customer service that is offered – Most of these apps offer you 24/7 customer service for your safety. If you ever feel you are in danger or something isn’t right, give them a call. Actually use the rating systems – Make sure you always rate your drivers, and you check their ratings in the app. Poor drivers get weeded out over time, but only if people actually rate them after each ride. 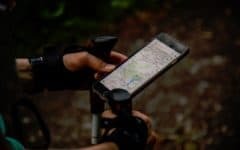 Let someone know where you’re going and when you’ll get there – Keep your phone charged when using these apps so you can use it in an emergency. You may also want to tell a friend or family member where you’re going and what your ETA is so they will know to act if something happens to you. These articles can help you get the rides you need, when you need them. Check out all of your options! What Is Uber Eats and Is It Worth Using to Get Food Delivered?